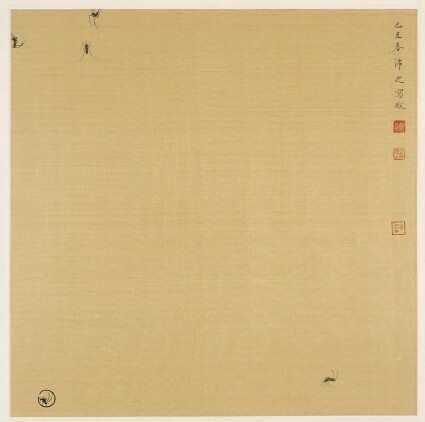 Chui Pui Chee, born in Hong Kong, studied calligraphy with the famous Hong Kong calligrapher Jat See-Yeu. He has a PhD degree from the National Academy of Fine Arts in Hangzhou, and is now a leading member of Jiazi Society of Calligraphy in Hong Kong. 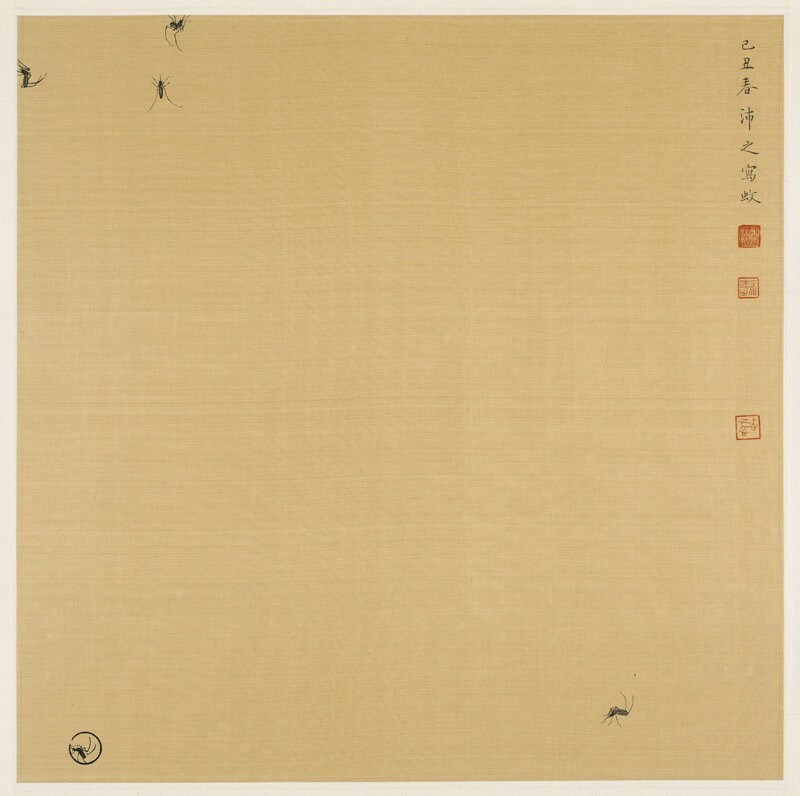 In this inscription, Chui plays with the ambiguity of the term ‘xie’ (寫), which means ‘to write’, but has also been used in traditional paintings in the sense of ‘to draw’. The five mosquitoes can be considered either ‘written’ or ‘drawn’ in this painting. Presented by Anselmo Reyes, in memory of Mary Tregear (1924-2010), 2011.